Department of Pharmacy Practice 1, KLE Academy of Higher Education & Research, Belagavi - 590010, Karnataka, India. Department of Paediatrics 2, Department of Community Medicine 3, Jawaharlal Nehru Medical College, KLE Academy of Higher Education & Research, Belagavi - 590010, Karnataka, India. ABSTRACT: Context: Gestational diabetes mellitus (GDM) early diagnosis of disease can reduce the morbidity and mortality by prevention of maternal and fetal complications. Aims: To assess the impact of clinical pharmacist knowledge on GDM mothers. Setting Tertiary care teaching hospital of North Karnataka, India. Methods and Materials: A randomized controlled cross-sectional study was carried out for a period of 4 years. Pregnant women with GDM were divided into control (C) and interventional (I) groups. 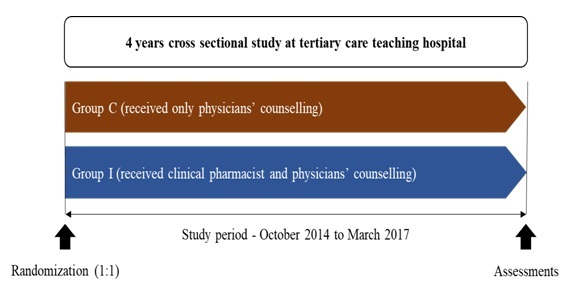 Group C patients received only physicians’ counselling whereas, group I patients received both clinical pharmacist counselling and physicians’ counselling. Both the groups were screened for blood glucose levels at baseline and follow-up. Results: A total of 500 (group C, n=250 and group I, n=250) mothers diagnosed to have GDM participated in the study and randomized into two groups. Initially the knowledge of GDM among pregnant women was poor. After the clinical pharmacist counselling, knowledge was enhanced, which prompts better education and use of new methods such as phemplets, audio visual methods and flipcharts. Conclusions: The results of this study showed noteworthy changes in knowledge after clinical pharmacist structured counselling. INTRODUCTION: Gestational diabetes mellitus (GDM) is one of the major health issues and the most common metabolic disorders in pregnant women characterized by glucose intolerance of varying degree with onset or first recognition during pregnancy 1, 2. In India, the prevalence of GDM varies widely, depending on the population studied and the diagnostic test employed, may range from approximately 4% to 40% of all pregnancies 3. Moreover, Indian women are 11 times more vulnerable to GDM, compared to Caucasians 4. GDM is a serious heal issue which need to be addressed urgently, it is estimated that about 4 million women are affected by GDM in India 3. Based on the recent reports from South India, GDM complicates 17.8% of the pregnancies in urban areas, 13.8% in semi-urban areas, and 9.9% in rural areas based on 2 h 75 g post glucose value ≥ 140 mg/dL 5, 6. Modern lifestyle which include increasing urbanization, decreasing levels of physical activity, changes in dietary patterns, advanced maternal age and obesity are some of the factors which influence the risk of GDM in Indian women 5, 7. Moreover, ancestral disparities and a family history of diabetes also intensify the GDM risk which attribute to adverse perinatal outcomes, including increased risk of cardiovascular diseases, early childhood obesity, increased rates of pre-eclampsia, caesarean and even stillbirths 5, 8. Infants born to mothers with GDM are at an increased risk of macrosomia, hypoglycemia, jaundice, respiratory distress syndrome, polycythemia, and hypocalcemia 7, 9. Data suggests that medications alone are not enough to manage GDM, educational strategies need to be implemented. In the United States, the national Diabetes Prevention Program has shown the positive impact of educational interventions to prevent progression of GDM to type 2 diabetes 10. Early counselling of families has been recommended by the Fifth International Workshop Conference on GDM 11 to avoid excessive maternal and fetal weight gain. Educational programs have been recommended that emphasize reduced fat and energy intake, regular physical activity and regular clinic visits. However, in India, despite higher frequency of GDM, studies regarding patients’ awareness are seldom investigated. We hypothesized that, counselling of the pregnant women by the clinical pharmacist along with a physician, may enhance the knowledge in pregnant women which may result in adoption of a healthy lifestyle, better healthcare-seeking pattern, better self-care. Thus, prevention and early diagnosis of the disease may help to reduce the morbidity and mortality by prevention of complications among the mothers and new-born. 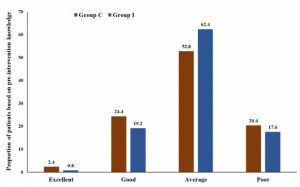 Study Design: This cross-sectional study was conducted for a period of 4 years (October 2014 to March 2017) at a tertiary care teaching hospital of north Karnataka, India Fig. 1. Pregnant women were divided into group C (control group, patients received counselling by physicians only) and group I (interventional group, patients received counselling by clinical pharmacists along with physicians). Patients: Registered pregnant women with ≥ 24 weeks of gestation diagnosed to have GDM residing within 5 km of study area aged more than 18 years who were willing to participate in the study were recruited. Pregnant women with endocrinal complications, renal complications, pregnancy complications, prior type 2 diabetes mellitus, multiple gestations and having significant difficulties to cooperate were excluded from the study. Sample Size Calculation: Considering the prevalence of GDM as 20%, standard error as 10%, the minimum effect sample size was calculated as 250 women presenting with GDM in each group. Assessments: Those who were eligible along with their family members were briefed about the nature of the study, the intervention and the procedure involved in the study. The knowledge about GDM was assessed using the questionnaire which comprised of 18 questions and emphasized on dietary habits, exercise program, random blood sugar level monitoring, treatment, insulin intake, medications, adverse drug reactions, complication in mother as well as fetus and birth outcomes. The interpretation of knowledge was done based on the scores obtained i.e., those who answered correctly were interpreted as having adequate knowledge and were graded with score of one for each question. The sum of total points was calculated and these total scores were converted in terms of percentage and the grading was done as having excellent knowledge if the percentage was ≥ 75, good knowledge if the percentage was 51 to 75, average knowledge if the percentage was 26 to 50, and poor knowledge if the percentage was ≤ 25. Study Procedure: Subjects were randomized by SNOOZE method, where patients were provided with sealed opaque envelopes and asked to choose the envelope. After incorporation of baseline data intervention patients were counselled in local languages. Demographic data such as age, religion, education, occupation, place of residence (civilization), socioeconomic status, history of diabetes mellitus, family history, current treatment, past medical history, personal history and dietary habits were collected. Clinical pharmacists provided structured counselling on the management of GDM; socioeconomic factors in the management of GDM; importance of monitoring blood glucose levels; insulin administration by using various educational strategies such as (1) pamphlets, (2) flipcharts and (3) demonstration; importance of physical exercise; adherence to the management of GDM and importance of regular follow up. Pregnant women with GDM in control group only underwent routine counselling by physician or nurse. Ethics Approval: Prior to the commencement, the study was approved by Institutional Ethics Committee and pregnant women with GDM based on the criteria set by Diabetes in Pregnancy Study group India (DIPSI) were screened for eligibility. The study was registered under Clinical Trials Registry India Number- CTRI/2017/01/007622. Permission to conduct this study was obtained from KLE University’s Institutional Ethics Committee Belagavi, Karnataka, India. Statistical Analysis: The categorical data was expressed in terms of rates, ratios and percentages. The comparison between groups for demographic characteristics was done using Fishers exact test or chi-square test. Continuous data was expressed as mean ± standard deviation and the comparison was done using independent sample t-test. A probability (p value) of ≤ 0.05 at 95% confidence interval was considered as statistically significant. The data was analyzed using SPSS statistical software version 20.0. Descriptive Analysis: A total of 500 women provided written consent to participate in the study and these women were randomized into group C (n=250) and group I (n=250). The overall age of the women ranged between 22 years to 44 years with mean age of 28 years. About 38% of women in group C and 59% of women in group I were aged between 26 years to 30 years Table 1. The BMI in 67.60% of the women who belonged to group C was between 19.8 kg/m2 to 26.0 kg/m2 compared with 66.40% of the women in group I Table 2. 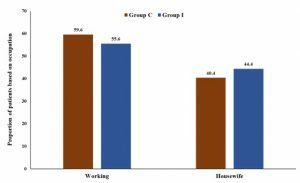 Most of the patients (52.4%) had primary education in group C compared with 62% in group I Table 3. 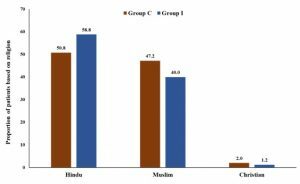 When distributed based on religion, most of the patients belonged to Hindu in both group C (50.80%) and group I (58.8%; Fig. 2) and majority of them were working (group C, 59.6% and group I, 55.6%; Fig. 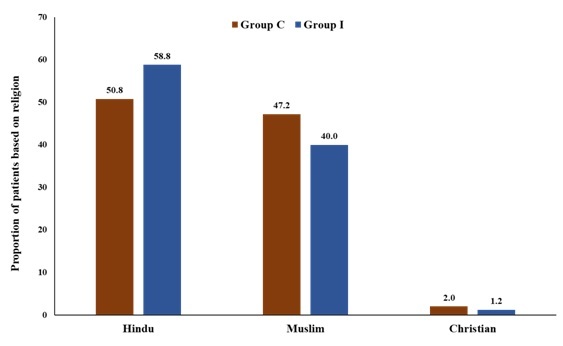 3) and resided in slum area (group C, 38.8% in group C and group I, 47.60%; Table 4). Pre- and Post- Intervention Knowledge Assessment: Prior to the intervention that is counselling by research scholar in group C, most of the pregnant women had average knowledge about GDM in 52.8% and 62.4% of patients in group C and group I, respectively Fig. 4. Knowledge about GDM were notably improved post intervention in group I with 33.2% showed good knowledge and 7.6% had excellent knowledge compared with 24.4% and 3.2% of the women in group C respectively Table 5. 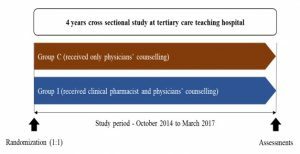 DISCUSSION: This cross-sectional study was designed to measure the impact of clinical pharmacist counselling in GDM women. Our results showed greater enhancement of knowledge about GDM in pregnant women who belonged to interventional group. Our results suggest that women need to be targeted for better education in order to reduce the risk of GDM. Increase rate of GDM in Indian women is certainly a major concern, given the adverse events associated with it. However, despite the availability of guidelines for screening and management in the general population, management of GDM is still challenging 12, 13. The challenges include, lack of consensus among the physicians regarding the timing of oral glucose tolerance test after delivery, ineffective communication among physicians, patients, and primary care providers 12. Due to these challenges, GDM patients fail to control their glucose levels through lifestyle modifications and end up in using insulin 14. Previous reports suggest that interventions such as self-management are effective in improving glycaemic control, lowering health-care costs, and improving the quality of life in patients with GDM 15, 16. However, self-management of GDM are associated with certain unavoidable challenges, such as, lack of information in communities and sometimes cultural perspectives are barriers to GDM care. Hence, many women remain sedentary during pregnancy because of these perceived barriers. This condition requires a certain level of expertise, knowledge, and experience to manage 17, 18. Increase in patient compliance and proper educational interventions may promote better pregnancy outcomes 12, 13 which is affordable and easily accessible at the primary, secondary, and tertiary levels of health care in India 2. Existing studies showed knowledge gaps, and inefficient approach to GDM management, which eventually contribute to suboptimal patient outcomes 10, 13. Moreover, performance implication of clinical pharmacists for the management of GDM are seldom investigated. It is well accepted that processes of care influence the diabetes outcomes and many processes are considered indicators of quality of diabetes care 12. Thus, achieving optimal processes of care is postulated to be a key element in the care of patients with diabetes 15, for example, a model has been proposed by Brown et al., 17 to explain this association between socioeconomic status and health outcomes in patients with diabetes. It suggests that health outcomes (which show the effects of care on the health status of patients) 18 are influenced by distal factors, such as individual (i.e., cultural background) or community characteristics, as well as by more proximal factors such as health behaviours, access to health care, and processes of care (i.e., what is done to care for a patient) 19, 20. The pharmacists are trained to provide patient care and possess knowledge of pharmacotherapy and experience in medication management. The collaboration between pharmacists and women health providers are essential when managing high-risk patients. This collaboration allows patients the option to remain in their original medical home. Clinical pharmacists may provide services that are culturally and linguistically appropriate throughout each stage of pregnancy and follow-up 21, 22. Hence, clinical pharmacists’ intervention may contribute to the better management of GDM though. The WINGS study demonstrated that a collaborative approach between pharmacists, physicians and patients may yield better management of GDM 2. The relationship established between the providers, pharmacist, and patients aligns well with the patient-centered medical home model. A recent study in the pregnant women from Jordan, also demonstrated that clinical pharmacist assisted services in the management of pregnancy hyperglycemia, fundamentally and significantly improve the knowledge and control the disease 23. Counselling helps achieving the personalized therapeutic goal of each individual patient. Evidences suggest that integrated pharmaceutical care by clinical pharmacist results in reduction of glycemic control of diabetic patients. Hence, in a developing country like India, where there is an increase in the number of diabetic populations observed in recent years. Like every cross-sectional study, this study was not different and has some limitations, first being the number of populations studied and data collections. Further, this study was carried out in a specific region, hence generalizability of results may be an issue. Nevertheless, it was a pretty long duration study, hence the results can play a role of precursor for focused sequential studies to find out more regarding the importance of clinical pharmacists in the management of GDM in India. Further, it was evident that even short pharmaceutical care programs provide important information related to patient counselling, disease characteristics, drugs and lifestyle modifications etc., hence, the findings of our study, may have substantial impact. CONCLUSION: Overall the present study highlights poor knowledge about GDM among the pregnant women in study area and intervention in the form of counselling by the pharmacist enhances the knowledge. This prompt need for the education through counselling on GDM to the pregnant women, which may help to create awareness about this condition through the healthcare providers and pharmacists. 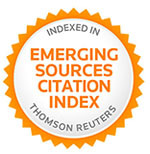 ACKNOWLEDGEMENT: The authors would like to acknowledge the medical and nursing staff, and for their assistance and cooperation during the study. AUTHORS’ CONTRIBUTIONS: NSM designed this study, VD, MSG, SK, and interpreted the data, performed data analysis, and wrote the manuscript. All Authors state that they had complete access to the study data that supports the publication. CONFLICT OF INTEREST: The author(s) declare(s) that they have no conflicts of interest to disclose. Mithal A, Bansal B and Kalra S: Gestational diabetes in India: Science and society. Indian J Endocrinol Metab 2015; 19(6): 701-704. Kayal A, Mohan V, Malanda B, Anjana RM, Bhavadharini B and Mahalakshmi MM: Women in India with Gestational Diabetes Mellitus Strategy (WINGS): Methodology and development of model of care for gestational diabetes mellitus (WINGS 4). Indian J Endocrinol Metab 2016; 20(5): 707-715. Chowdhury TA, Grace C and Kopelman PG: Preventing diabetes in south Asians. 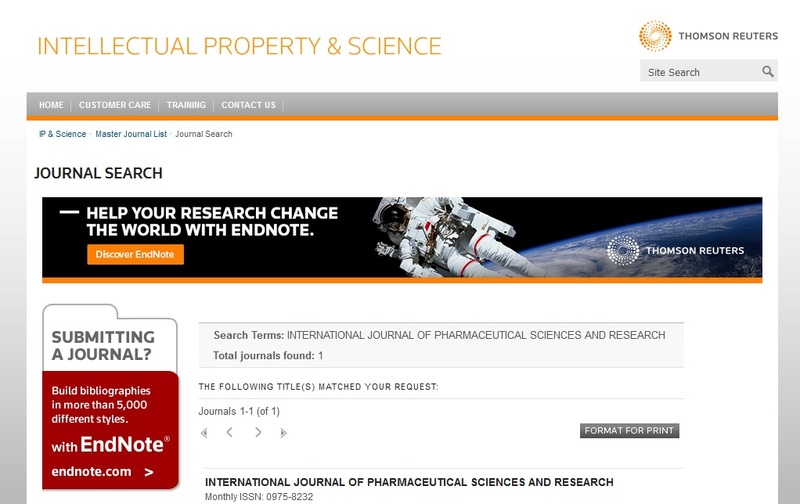 BMJ 2003; 327(7423): 1059-60. Makgoba M, Savvidou MD and Steer PJ: An analysis of the interrelationship between maternal age, body mass index and racial origin in the development of gestational diabetes mellitus. BJOG 2012; 119(3): 276-82. Seshiah V, Balaji V, Balaji MS, Paneerselvam A, Arthi T and Thamizharasi M: Prevalence of gestational diabetes mellitus in South India (Tamil Nadu)-A community based study. J Assoc Physicians India 2008; 56: 329-33. Shriraam V, Rani SM, Sathiyasekaran B and Mahadevan S: Awareness of gestational diabetes mellitus among antenatal women in a primary health center in South India. Indian J Endocr Metab 2013; 17(1): 146-8. Ferrara A: Increasing prevalence of gestational diabetes mellitus. Diabetes Care 2007; 30: S141-46. Kjos SL and Buchanan TA: Gestational diabetes mellitus. N Engl J Med.1999; 341(23): 1749-56. Young BC and Ecker JL: Fetal macrosomia and shoulder dystocia in women with gestational diabetes. Curr Diab Rep 2013; 13(1): 12-8. Clifford RM, Davis WA, Batty KT and Davis TME: Effect of a pharmaceutical care program on vascular risk factors in type 2 diabetes: the fremantle diabetes study. Diabetes Care 2005; 28(4): 771-6. Gabbe SG, Landon M, Warren-Boulton E and Fradkin J: Promoting health after gestational diabetes. Obstet Gynecol 2012; 119(1): 171-6. Metzger BE, Buchanan TA, Coustan DR, de Leiva A, Dunger DB and Hadden DR: Summary and recommendations of the fifth international workshop-conference on gestational diabetes mellitus. Diabetes Care 2007; 30: S252-60. Mahalakshmi MM, Bhavadharini B, Maheswari K, Anjana RM, Jebarani S and Ninov L: Current practices in the diagnosis and management of gestational diabetes mellitus in India (WINGS-5). Indian J Endocrinol Metab 2016; 20(3): 364-8. Mohan V, Usha S and Uma R: Screening for gestational diabetes in India: where do we stand? J Postgrad Med 2015; 61(3): 151-4. Balaji V, Balaji M, Anjalakshi C, Cynthia A, Arthi T and Seshiah V: Diagnosis of gestational diabetes mellitus in Asian-Indian women. Indian J Endocrinol Metab 2011; 5(3): 187-90. Brown AF, Ettner SL, Piette J, Weinberger M, Gregg E and Shapiro MF: Socioeconomic position and health among persons with diabetes mellitus: a conceptual framework and review of the literature. Epidemiol Rev 2004; 26(1): 63-77. Patni KN, Shah JV and Deshpande SS: Improvement in glycemic control of diabetic patients provided with counselling by clinical pharmacist - A review. JPSBR 2015; 5(4): 370-8. Pimouguet C, Le Goff M, Thiebaut R, Dartigues JF and Helmer C: Effectiveness of disease-management programs for improving diabetes care: a meta-analysis. Can Med Assoc J 2011; 183(2): E115-27. Ghaffari F, Salsali M, Rahnavard Z and Parvizy S: Compliance with treatment regimen in women with gestational diabetes: living with fear. Iran J Nurs Midwifery Res 2014; 19(7 Suppl 1): S103-11. Carolan M, Gill GK and Steele C: Women’s experiences of factors that facilitate or inhibit gestational diabetes self-management. BMC Pregnancy Childbirth 2012; 12(1): 99. Morampudi S, Balasubramanian G, Gowda A, Zomorodi B and Patil AS: The challenges and recommendations for gestational diabetes mellitus care in India: A review. Front Endocrinol (Lausanne) 2017; 8: 56. Batta RA, Kasabri V, Akour A, Hyassat D and Albsoul-Younes A: Impact of clinical pharmacists intervention on management of hyperglycemia in pregnancy in Jordan. Int J of Clin Pharm 2018; 40(1): 48-55. Dhyani V, Mahantashetti NS, Ganachari MS and Kumbar S: Performance implications of clinical pharmacist information on gestational diabetes mellitus at a teaching hospital in Southern India. Int J Pharm Sci & Res 2018; 9(11): 4968-73. doi: 10.13040/IJPSR.0975-8232. 9(11).4968-73. Authors Address: Department of Pharmacy Practice, KLE University College of Pharmacy, Nehru Nagar, Belagavi, Karnataka, India.